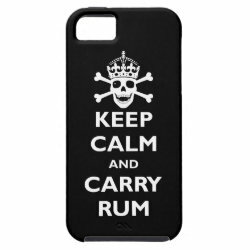 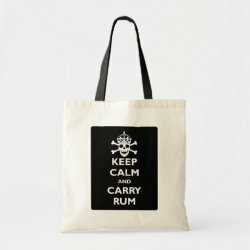 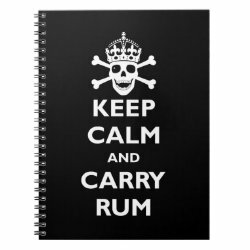 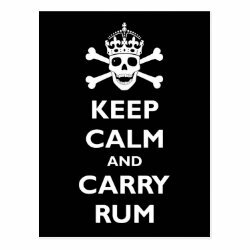 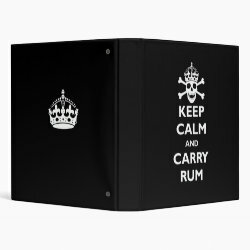 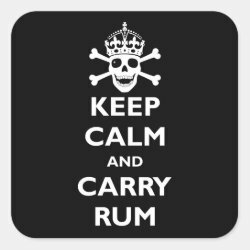 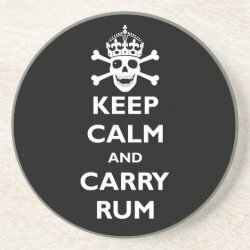 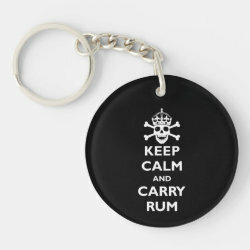 Keep Calm and Carry Rum is great advice for anyone. 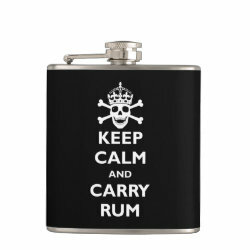 Well, if you're old enough to have alcohol, of course. 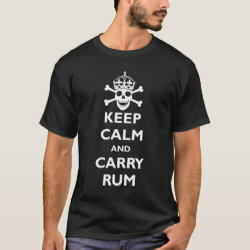 The design is a parody More... on the classic Keep Calm and Carry On posters from the British government. 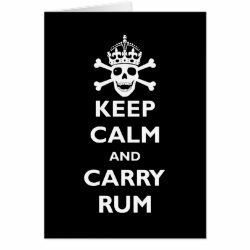 The original posters showed the famous slogan under a representation of a "Tudor Crown", a symbol of the state. 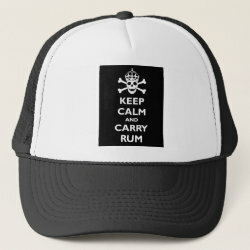 On this pirate version the crown is worn by a skull with bones! 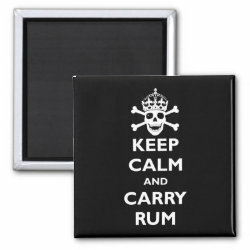 These funny customizable pirate products are great for Talk Like a Pirate Day, to wear when you're watching or riding Pirates of the Caribbean, or any other day of the year when you feel like showing off your love for rum and pirates. 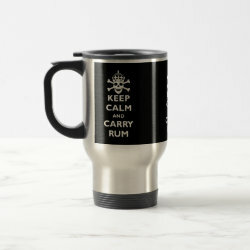 Keep Calm and Carry Rum Vinyl Wrapped Flask, 6 oz. 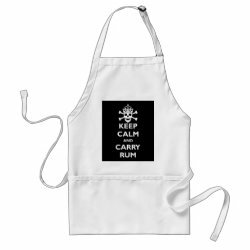 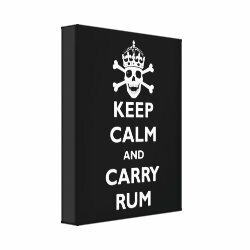 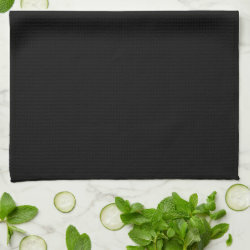 Keep Calm and Carry Rum Kitchen Towel 16" x 24"